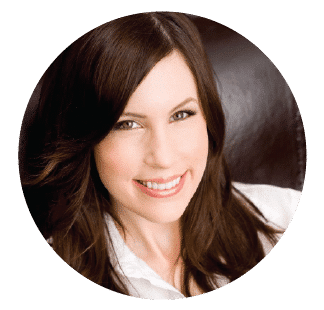 March is National Sauce Month, and I can’t think of a better time to partner with Soy Vay to bring you a delicious and unexpected new recipe to add to your repertoire. Soy Vay’s full line of kosher-certified sauces and marinades can be used on anything, from vegetables and grains to meat and even in salad dressings. They contain no preservatives, no GMOs and a few of their sauces are now certified gluten free. With all of the great products they have to offer, you’ll be able to fill March with plenty of saucy recipes. Soy Vay’s humble beginnings started in 1980, when a Jewish boy and Chinese girl came together over their love of food, secret family recipes, and their unique cultural backgrounds. Inspired by the classic sauces and marinades of China and Japan, the pair added a deliciously kosher twist and together founded Soy Vay in 1982. The brand became an instant success. No wonder they described themselves as the “matchmakers of awesome”! Fast forward to today, and Soy Vay is still passionate about unexpected pairings that can help you to create innovative new dishes in your own kitchen. 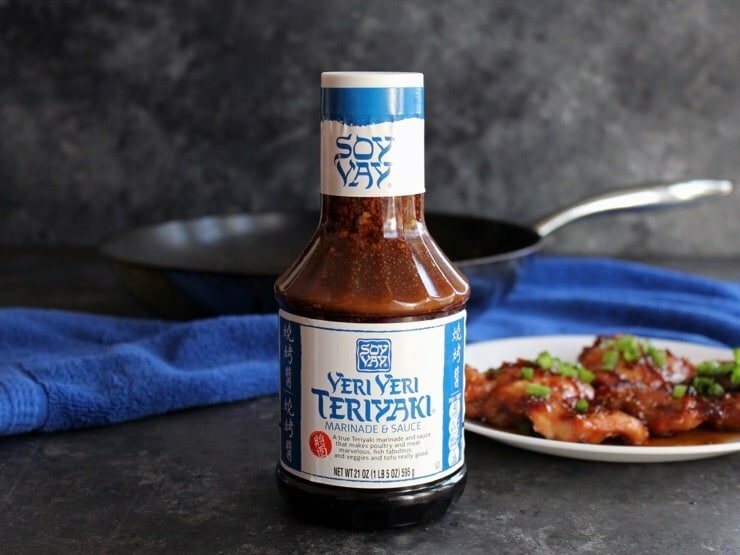 For National Sauce Month, I found inspiration in a bottle of Soy Vay® Veri Veri Teriyaki®. 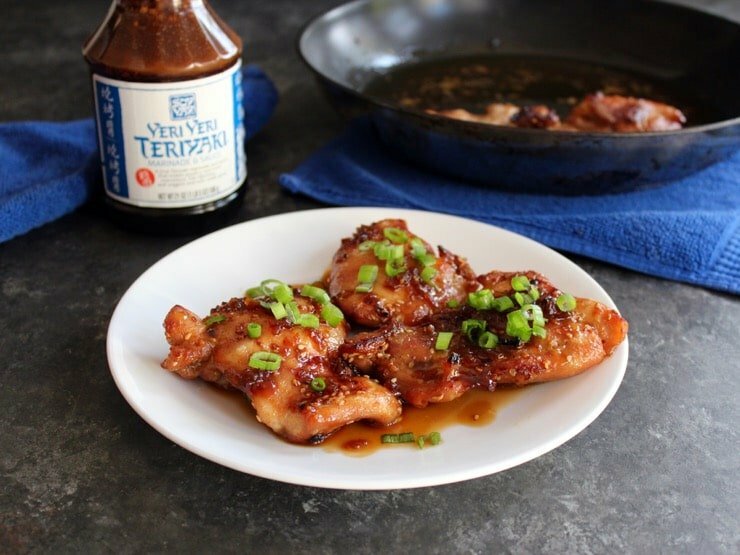 Teriyaki Chicken is a dish that’s familiar to most of us, but I wanted to find a way to take this classic flavor and turn it into something new and exciting – spice things up, if you will. 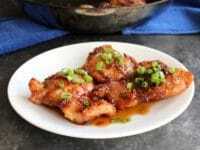 I took boneless, skinless chicken thighs and marinated them in Soy Vay® Veri Veri Teriyaki®. Then I added some cayenne added for a spicy kick and baked them in the oven. I finished it all under the broiler to add a grill-like char and a caramelized finish. To make things extra saucy… it is National Sauce Month, after all… I thickened up a bit of the teriyaki with cornstarch and a touch more cayenne. After a quick boil on the stovetop, I spooned the warm sauce over the top of the cooked thighs, then garnished it all with some chopped scallions. Voila! 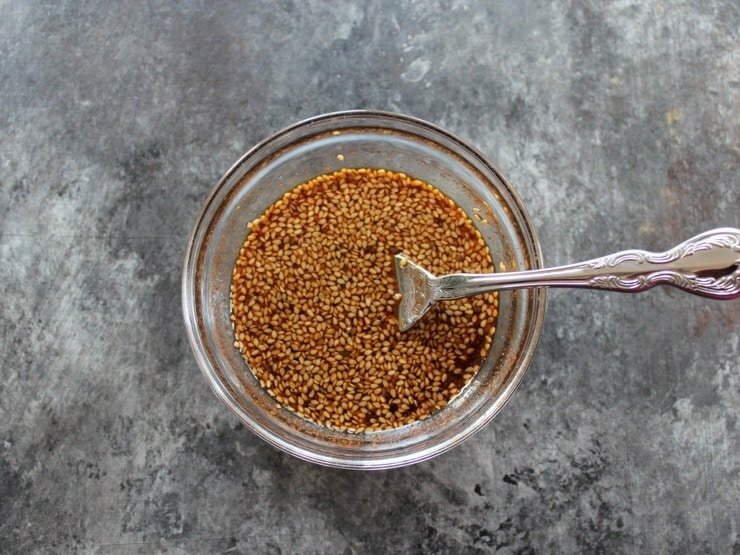 This makes a very easy and super flavorful weeknight recipe. In less than 25 minutes (not counting marinating time) you can have a healthy entree on the table. 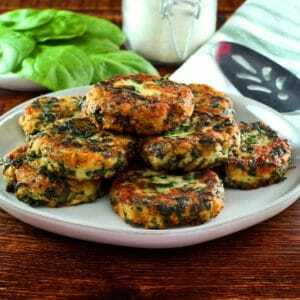 Serve with white rice and your favorite green on the side for a complete meal. Enjoy! Here’s a special tip for my readers… go to SoyVay.com and use promo code SOYVAY10 to receive 10% off your purchase! Offer valid through June 1. 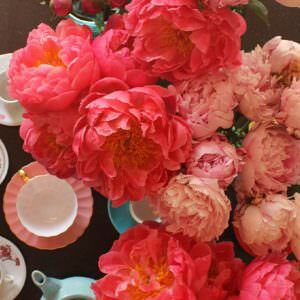 Follow Soy Vay on Facebook, Pinterest, and Instagram. 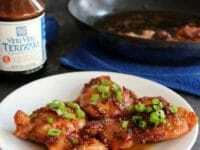 Spicy Teriyaki Broiled Chicken Thighs – Simple and flavorful chicken thighs marinated in Soy Vay Veri Veri Teriyaki, then baked and broiled for a caramelized, grill-like finish. You will also need: gallon-sized sealed plastic zipper bag or glass dish for marinating, oven-safe skillet with metal handle, small saucepan. Note: If you are watching your sodium intake, skip the additional sauce and just use the marinade... the flavor will still excellent, and you'll cut the sodium per serving by almost half. 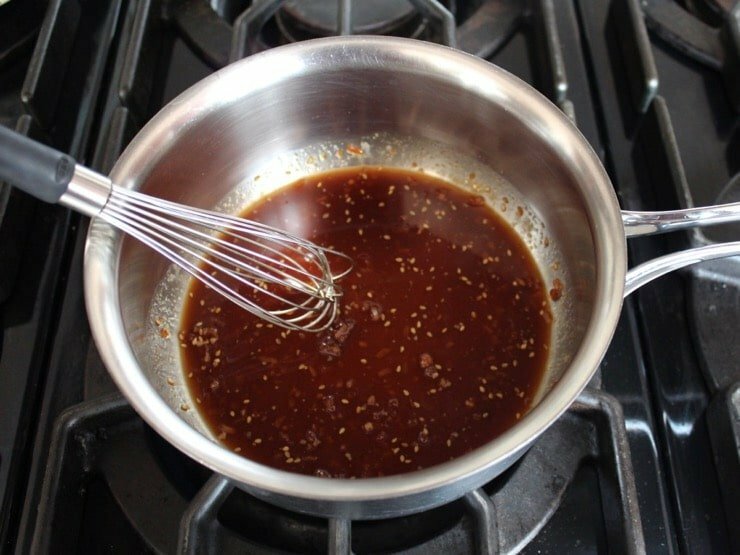 Stir together 1/2 cup of Soy Vay Veri Veri Teriyaki Marinade and Sauce with 1/2 tsp cayenne. 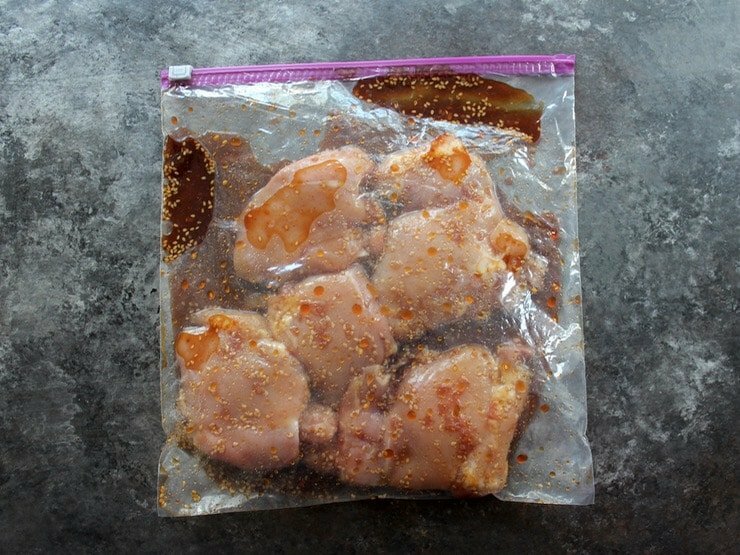 Place chicken thighs in a sealed plastic freezer bag or in a glass dish. Pour the marinade mixture into the bag or dish, coating the meat evenly on all sides with marinade. Seal the bag or cover the glass dish with plastic wrap tightly. Marinate for 6 hours up to 24 hours. 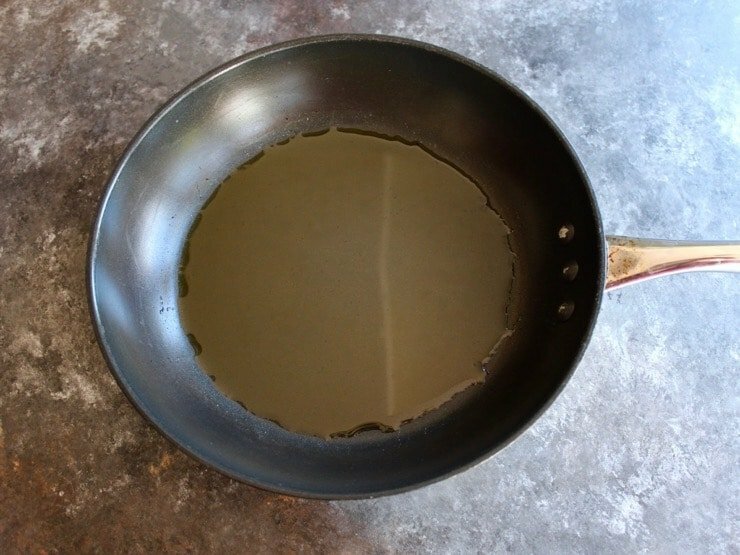 Be sure that your skillet has a metal handle and that it can withstand high oven heat. When ready to cook, place an oven rack 6 inches from the broiler element and preheat oven to 400 degrees F. Coat an oven safe nonstick skillet with the olive oil, making sure the entire surface is evenly coated. 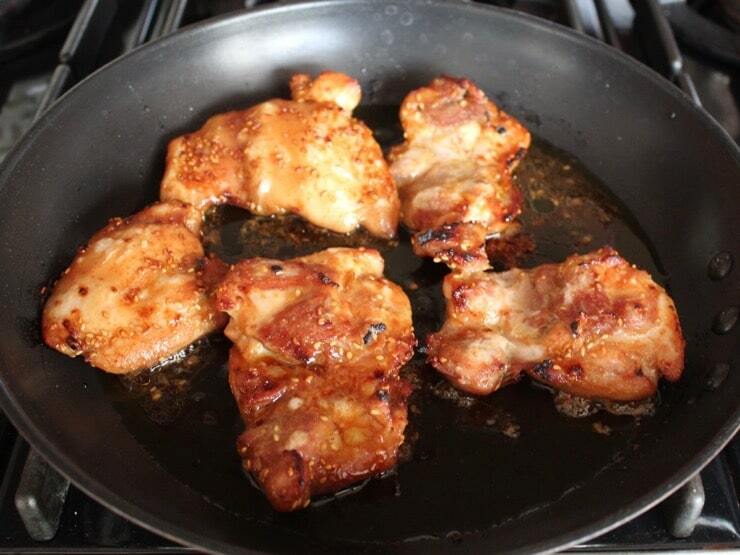 Place marinated chicken thighs into the skillet, evenly spaced in a single layer. Place in the oven to cook for 12 minutes. Discard the bag of marinade. 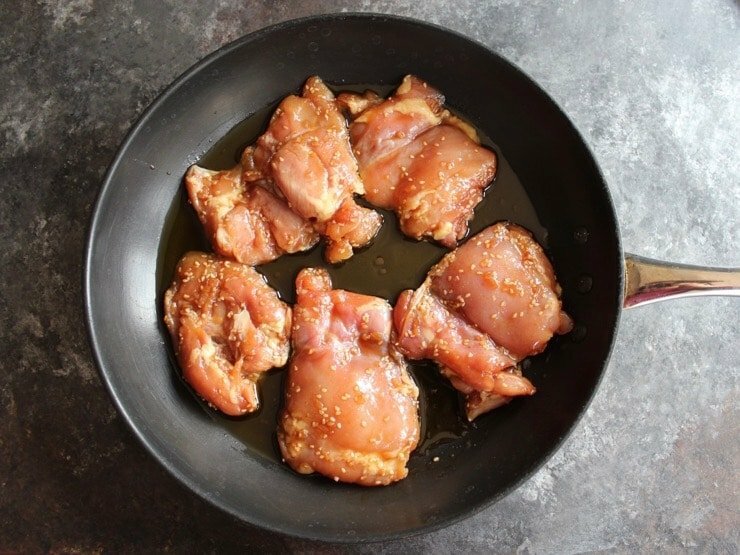 While chicken is cooking, pour 1/4 cup of Soy Vay Veri Veri Teriyaki Marinade and Sauce into a saucepan along with 1/2 tsp cornstarch. Add a pinch of cayenne if you want it spicier; without it the dish will only have a slight kick. Whisk together over medium heat for about 2 minutes until the sauce boils and thickens. Remove from heat and reserve. Using an oven mitt, take the skillet out and switch the oven to broil mode. Flip the thighs in the skillet. Place the skillet back in the oven under the hot broiler, 6 inches below element. 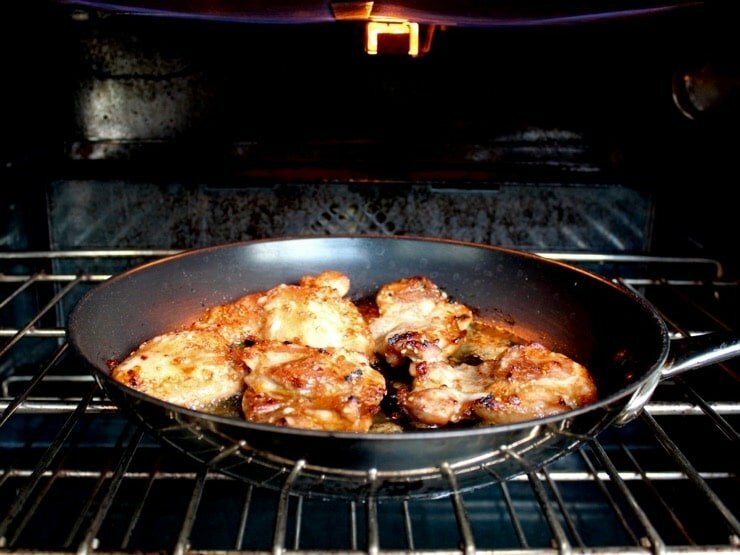 Broil the thighs for 8-10 minutes longer until cooked through, caramelized and slightly charred in places. When you take them out, they should look caramelized and almost grilled. 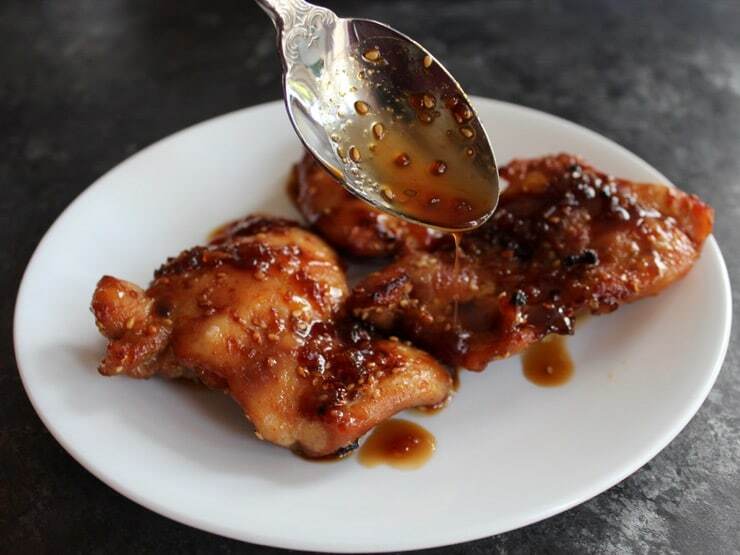 Top the thighs with a drizzle of the thickened sauce from the saucepan, about 2-3 teaspoons per thigh. Top the thighs with chopped scallions and serve. Enjoy! These were so easy and so delicious!! Love Soy Vey, thanks for giving me an easy tasty recipe to make with it. Just bought some of this teriyaki sauce last night at the grocery after seeing your post. Can’t wait to try this recipe, it looks so good! It’s awesome! And very versatile. Finally, a dish that uses something other than bone-less, skin-less breast! Yes! 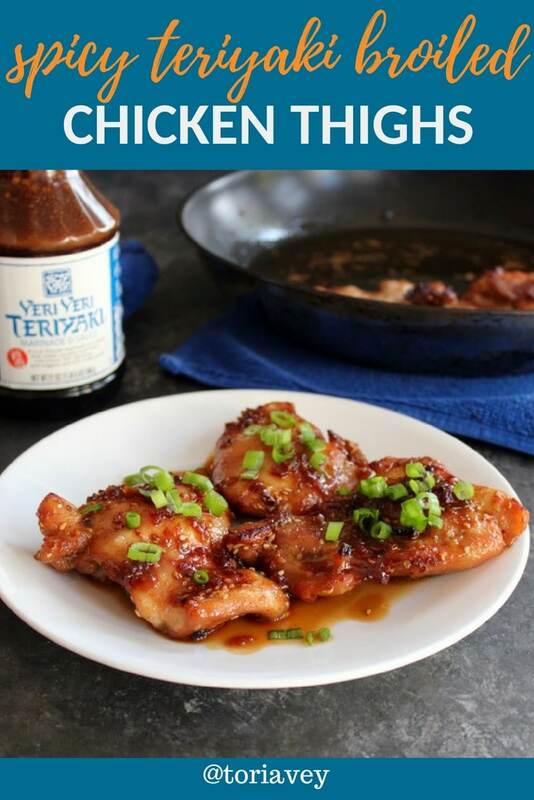 I’m a big fan of thighs, they are much more flavorful and don’t dry out as easily as breasts.